All materials on the company are charged to different needs. 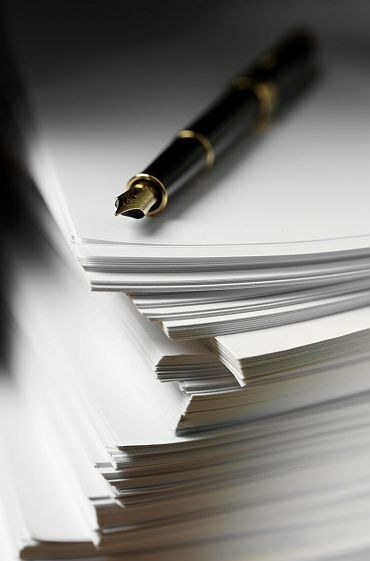 The basis for the write-off become the primary documents. At the moment there are several ways to write-off material and the management of the company or enterprise should choose any of these methods and all materials are attributed the same way. the rest of the material on the end of the month. The most common method of write-off of materials is the method of "average cost". Calculate the average cost. To do this, determine the average cost of the material that is in stock. Count the quantity of this material in stock. Divide the average cost by the number of goods in the warehouse. Calculate what amount of material was released this month. It is necessary for the execution of the deed of cancellation. Fill in the program accounting invoice in the form NМ-11. It is necessary to write two copies. On the invoice enter the name of the material assigned to him for acceptance, the number of written material, its price and date of cancellation. Both forms will need warehouse: based on the first instance of the writing off of values, on the basis of the second recording material. Make the act of cancellation, which shall include the drawdown date, place of composition, the names and titles of the Committee members written down the number of written material and their cost. In the text of the act, specify which material is charged, for whatever reason, the amount, the total value of written off material. Sign the act of writing down all the members of the Commission for cancellation. Write the limit-fence card in two copies. One copy of the document, give consumer material, the second grant is responsible for the warehouse. Do not use different methods of write-off material because the calculation of the average cost of materials may differ materially. Best of all, if the company is adopted a method of write-off of all materials in order to avoid confusion in accounting. To reduce the amount of primary documentation, you can issue the goods directly to the cards forms NМ-17.